Investments in high-quality pre-k have a significant return on investment for our children, schools and communities. It’s one reason civic leaders and philanthropic organizations have long supported making pre-k available to more children who need it, particularly those at risk of academic failure. Yet too few children are benefiting in Pennsylvania, and philanthropic efforts can only go so far. 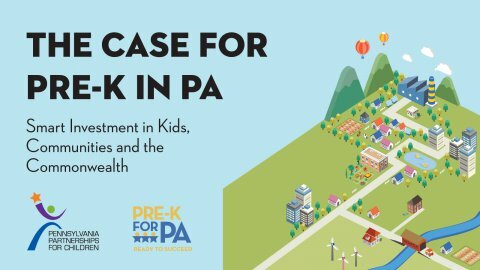 This report details how Pennsylvania can provide publicly funded, high-quality pre-k to more children – including all at-risk young learners – through a multi-year investment strategy.